The River District. Downtown Fort Myers has been revitalized in the last few years. There are shops and restaurants galore and all kinds of events that happen on a monthly basis. The first Friday of every month is Art Walk from 6-8pm. All the art galleries in downtown Fort Myers are open later so that patrons can walk in and out and see what is new. The Main Street, First St is closed to traffic so people can roam the galleries, restaurants and shops. There is occasionally live music in the street and local vendors have liquor carts for passerbys. 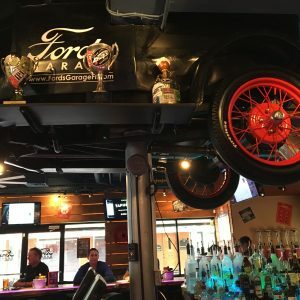 One of our favorite restaurants is Ford’s Garage. An establishment dedicated to Henry Ford who wintered in Fort Myers in the early 1920’s along with his pals, Thomas Edison and Harvey Firestone. 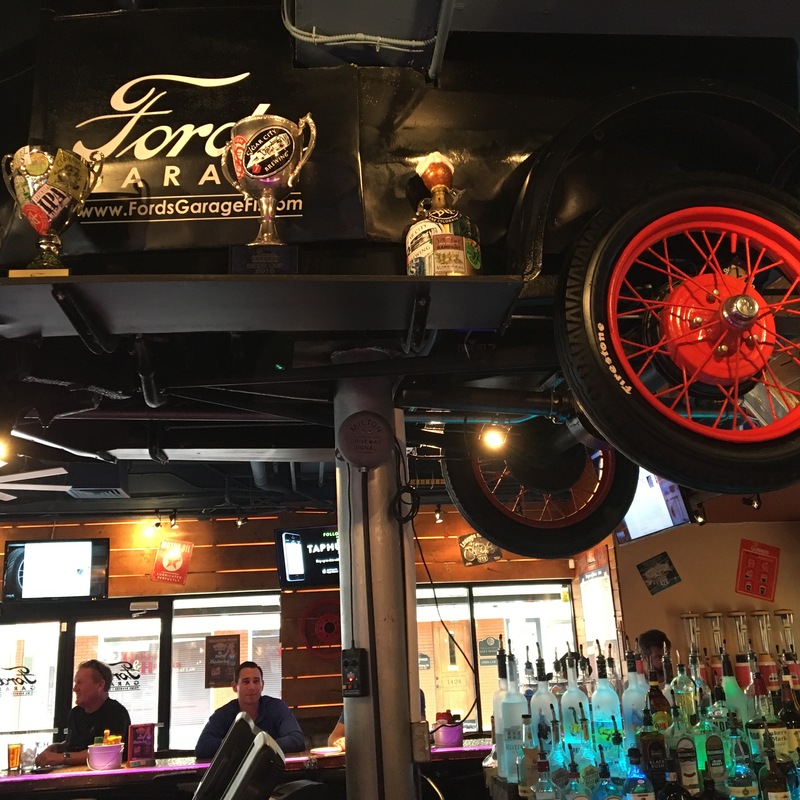 The theme revolves around Ford’s first automotive editions, one floats above the bar. And each time the bar tender recipes a tip an old car horn crags a beep. The bar itself has a solid ice edge where you can rest your beer glass to keep it cold. They serve over 100 beers. The menu features burgers that are named after local Fort Myers personalities and come with a branded bun displaying the Ford logo.